Philadelphia nurseryman Thomas Meehan in the 1883 issue of his magazine Gardener’s Monthly included a speech given by Boston horticulturalist Marshall Wilder. 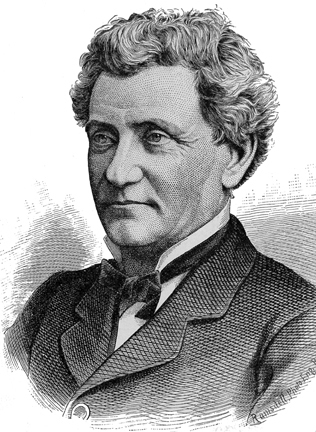 Wilder was President of the American Pomological Society when he gave the speech. The APS meeting was held that year in Philadelphia, home of the Pennsylvania Horticultural Society, which Wilder recognized in his remarks. There was a sense of community among the American seedsmen and nurserymen of the nineteenth century since they often saw one another and sometimes conducted business with each other. When one of them died, the whole community mourned. Rochester seedsman James Vick had died in May of 1882. Vick had become a celebrity of sorts in the garden industry. People around the country bought his seeds and subscribed to his magazine, Vick’s Illustrated Monthly. And so the brotherhood of seedsmen and nurserymen recognized the contributions of one of their own. Meehan, luckily for us, recorded it all in his garden magazine. Thomas, I’ve met many nurserymen and growers over the last few years and I have to say that there is still a strong sense of community among them. The difference is that now there are two groups, the good guys and the bad guys. The latter are those whose practices are questionable and viewed as harmful to the industry and environment. Love reading your posts- I always learn something. Mario, thank you for connecting. Your comment makes a lot of sense to me. I have had similar experiences.